And maybe that would work if Wolf wasn’t lurking, waiting to corner her and dropping sinister threats that set her teeth on edge. 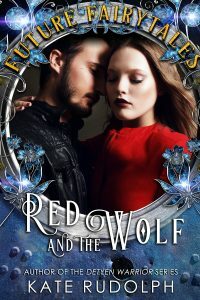 Predatory, creepy, and unwilling to leave her alone, Red wishes Wolf would just disappear. And when Wolf lives up to his name, she’s thrust into a world she never imagined could exist with only Wood there to protect her. But he has secrets of his own, and Red will need to do everything she can to keep from being swallowed whole.